Today, users expect fast, reliable WiFi as standard. Fail to deliver this and you risk disruption which, depending on your sector, will ultimately lead to reduced productivity, business and customer satisfaction. With over 30 years’ experience, KBR is a leading provider of enterprise-grade WiFi, delivering high-speed connections to businesses, educational establishments, public sector organisations, retail outlets and the hospitality industry. Whatever your sector, we’re able to deliver incredible coverage to guarantee an exceptional user experience. Our connections are secure, safeguarding user privacy and the information shared across the network. Our WiFi solutions can be implemented as part of your existing IT infrastructure or as a new installation. We understand your needs and will develop a WiFi solution to suit. Allows multiple users to connect to the same network without reducing connection speeds. Large coverage area, connecting all areas of your business. 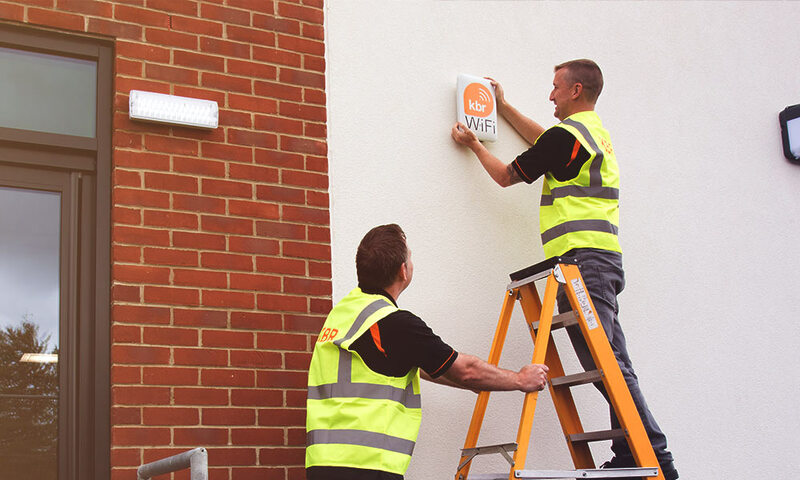 Professional installation carried out by our WiFi experts. Secure connections safeguards data shared over the network and reduces the risk of attack. Provides the connectivity your customers and users expect. 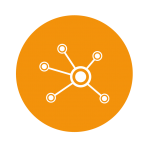 Supports a BYOD culture within your business or organisation. Get in touch with KBR today and discuss your WiFi needs.